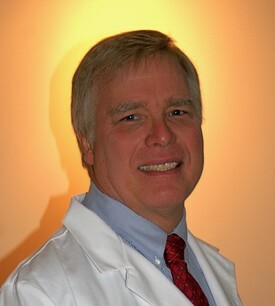 Dr. “Bob” McDade was born and raised in Middlesboro, Kentucky. After high school, he received his Bachelor of Science degree from University of Kentucky and then attended University of Louisville Dental School and graduated in 1975. The next four years were spent in Clarksville, Tennessee where he was stationed at Ft Campbell and served in the 101st Airborne Division. He provided dental services for many soldiers and their families and received extra training under the guidance of oral surgeons, endodontists, pedodontists and orthodontists. 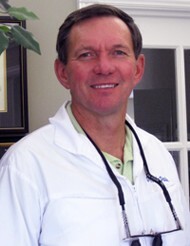 Dr. McDade moved to Bullitt County and has lived there the last 30 years, practicing dentistry. He is married to Sarah Nell Hamilton and has enjoyed raising their family, Molly, Maggie and Michael in the Shepherdsville area. He is active in his church and his interests includes golf, running and travel. Dr. McDade is constantly striving to keep the office up-to-date with the latest technology. He enjoys his patients and takes pride in learning new ways to enhance his dental skills. He attends many Continuing Education courses to keep current of the latest research. He is a member of American Dental Association, Kentucky Dental Association and Louisville Dental Society. He volunteers each year to the local Smile Kentucky to help screen students and complete some of their dental work. 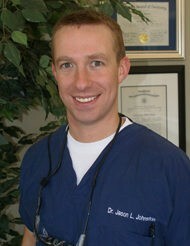 Dr. Jason L Johnston is a lifelong resident of central Kentucky and is a graduate of Elizabethtown High School. He was a Governor’s Scholar and later became a Resident Advisor for the Governor’s Scholar Program. He attended the University of Kentucky and graduated from their College of Dentistry in 2007 with a Doctor of Dental Medicine (DMD) degree. Dr. Johnston is a member of the American Dental Association, the Kentucky Dental Association, the Louisville Dental Society, and a volunteer in the Smile Kentucky Program. He enjoys attending continuing education courses to expand his knowledge, abilities and clinical expertise. Dr. Johnston particularly enjoys offering Invisalign, dental implants, and laser treatment options. He embraces new technology and is constantly looking for the best treatment for his patients. Dr. Johnston married Cindy Padgett in 2013. They were blessed with a daughter, Gemma, in 2015. Dr. Luke H. Derhake was born and raised in St. Louis, Missouri. He moved to Louisville and attended the University of Louisville receiving his Bachelor of Science degree in Biology and then graduated from the University of Louisville School of Dentistry in 1979. He made Kentucky his home and opened his own dental practice in Lebanon Junction, Kentucky. He practiced in the same location until 2016 and has enjoyed treating multi-generations of families. He is excited to be working at Shepherdsville Dental with his longtime friend, Dr. McDade. Dr. Derhake has many interests which include years of sports, especially softball, boating, and water sports. He is very active at his church and has served on a number of dental mission trips. He and his wife have two children and eight grandchildren. He enjoyed coaching many sports teams when his children were growing up. Spending time with his family is one of his favorite things to do along with reading, cooking, and bike riding. Dr. Derhake values the time spent with his patients and enjoys establishing long term relationships. As a patient is leaving the office, he has been known to say, "Bring me a joke next time!" He is diligent about keeping up with all the newest advances in dentistry and completes more than his required amount of continuing education classes. He is a member of the American Dental Association, Kentucky Dental Association, and the Louisville Dental Society. Shepherdsville Dental is proud to have him as part of our team!